Setting up to film, the room was filled to capacity with Mulligan relations. Cinematographers and musicians filled the tiny musicians’ corner at the Cobblestone pub last week. 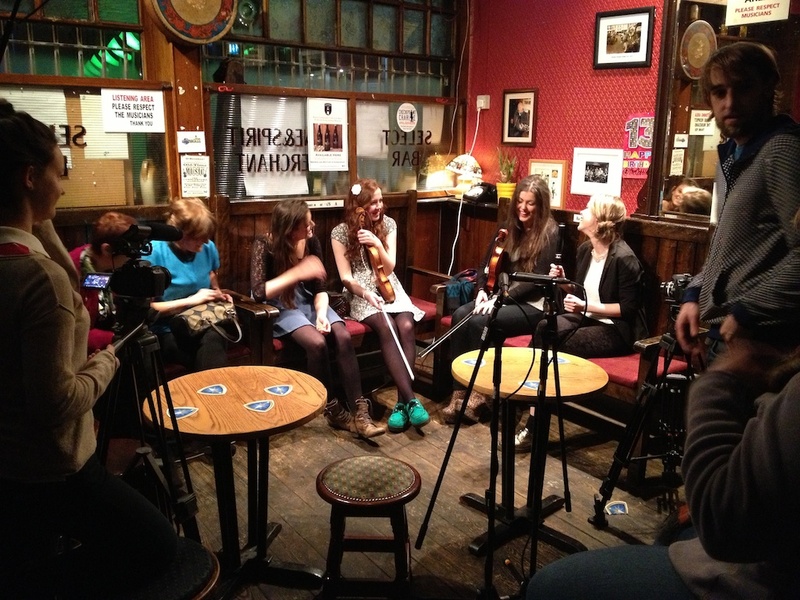 They were filming a documentary about traditional Irish music, focusing on the influence of the Travelers (the ethnic group that’s had the roughest time here in Ireland). I’ll try to keep you posted as to when and where the documentary will air. And then the filming commenced. How come the piper is in a different position in the reflection in the mirror?